I’m a firm believer in having a few great, reliable recipes in your back pocket, and using them for just about everything you need. Yellow cake is definitely one those for me. Baking cake from scratch at a high-altitude is tough stuff, some of the hardest really when it comes to high-altitude baking. But the great thing is, once you find a recipe that works, you can use it for a million other things, and you can dress it up any which way. 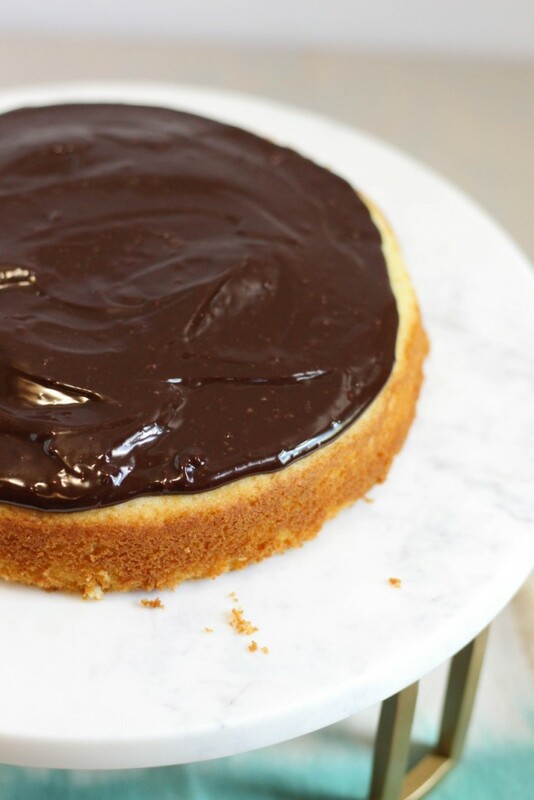 This cake is really simple actually, and the texture is perfect once baked. For the classic version, of course we’re flavoring it with vanilla extract, and otherwise just letting the butter flavor shine through. 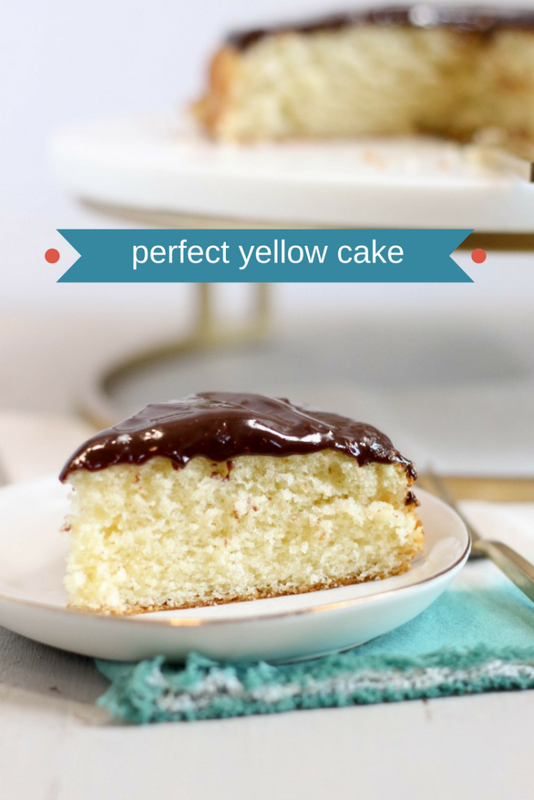 That’s what you really want in a yellow cake. You can use any extracts that you prefer here. You can also replace the milk with other liquids, like citrus juice, coffee, or even alcohol to make a cocktail flavored cake. 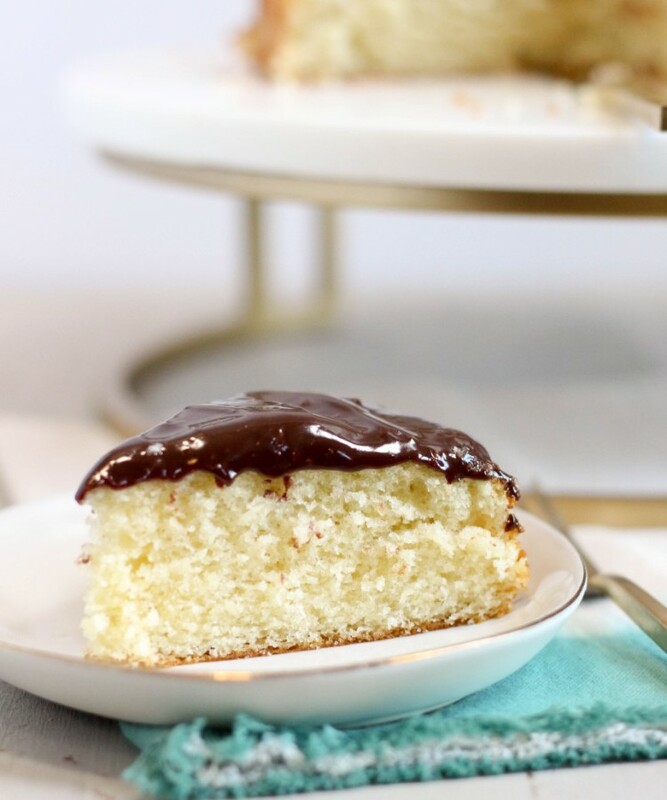 Top with crumbs, fill it with chocolate chips, layer it between frosting, do just about anything with this simple, easy to whip up cake. Seriously. 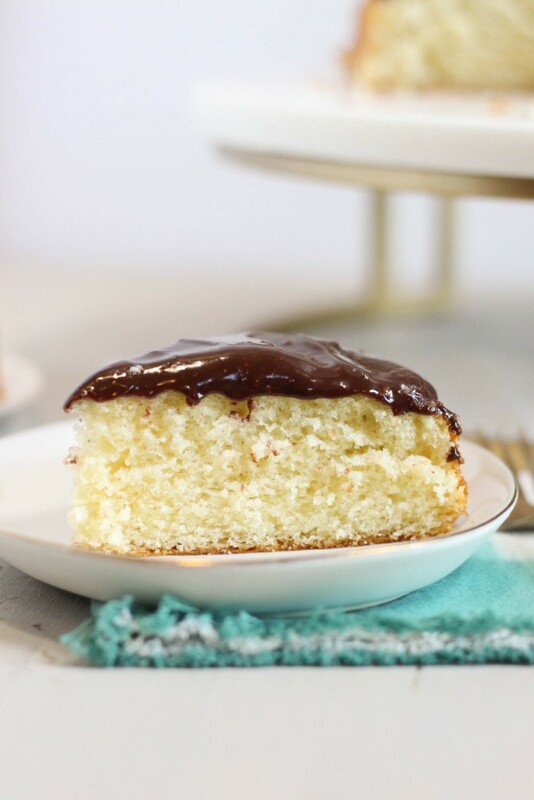 I topped mine with a simple chocolate ganache for this post, but you can throw any kind of buttercream on top, or just dust it with powdered sugar. The options are endless, sorry I keep mentioning more! 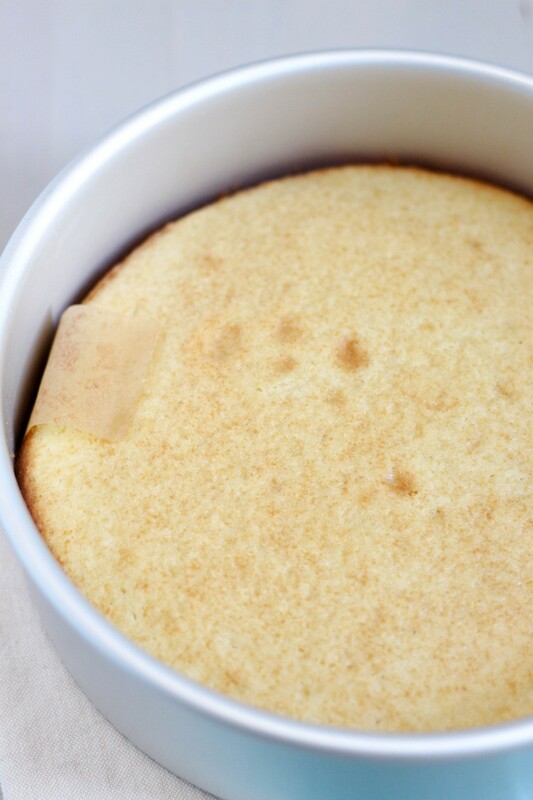 This is the best yellow cake recipe if you live at a high-altitude. I hope this relieves all your cake woes, it definitely has fixed many of my own! Enjoy! 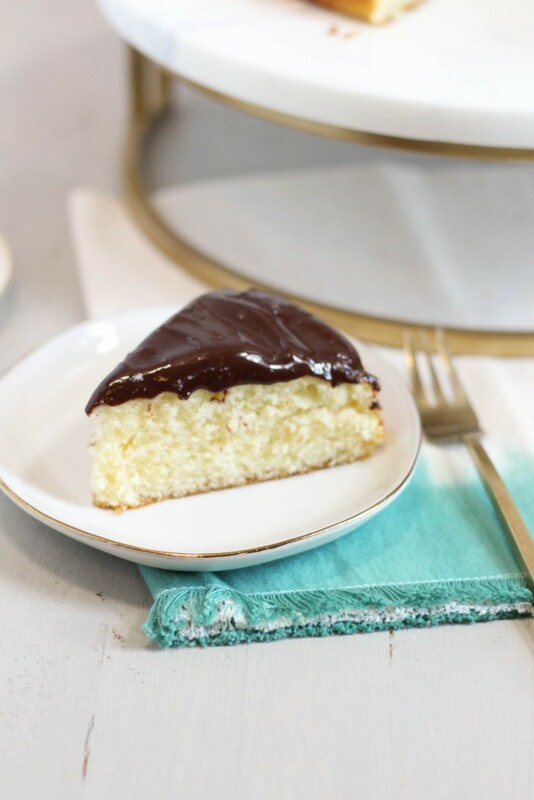 This recipe makes one 8-inch round cake. You can double or even triple it very easily for larger projects, and it adapts well to cupcakes also! 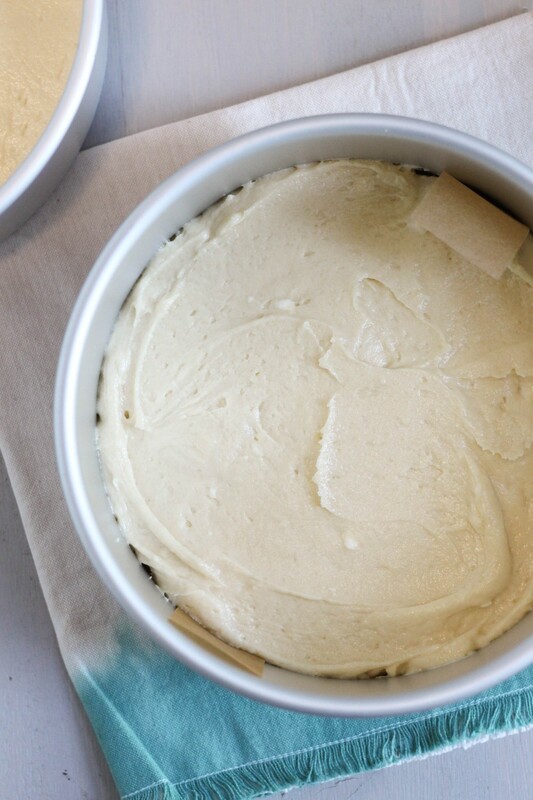 Preheat your oven to 350 degrees, and grease an 8-inch round or square cake pan. Set aside. In a large bowl, beat together the butter and sugar until fluffy. Beat in the vanilla, eggs, and sour cream until combined- the mixture will be lumpy. Then, add in the flour, baking powder, and salt, and beat until combined. Add in the milk, and beat for an additional 1-2 minutes, or until the mixture is very smooth. The batter will be thick. Pour into your prepared pan, and spread it evenly. Bake for 25-28 minutes, or until a toothpick comes out clean. Cool completely, and top or use as desired! This looks great! But can you use it if you're not in high altitude?? Hi Molly! Since I'm not at sea level I can't say for sure that it will work with these adjustments, but I would suggest adding 2-3 tablespoons LESS flour, and 1/8 tsp. MORE baking powder. Again, these are just suggestions since I can't test recipes at sea level! Hope that is helpful! 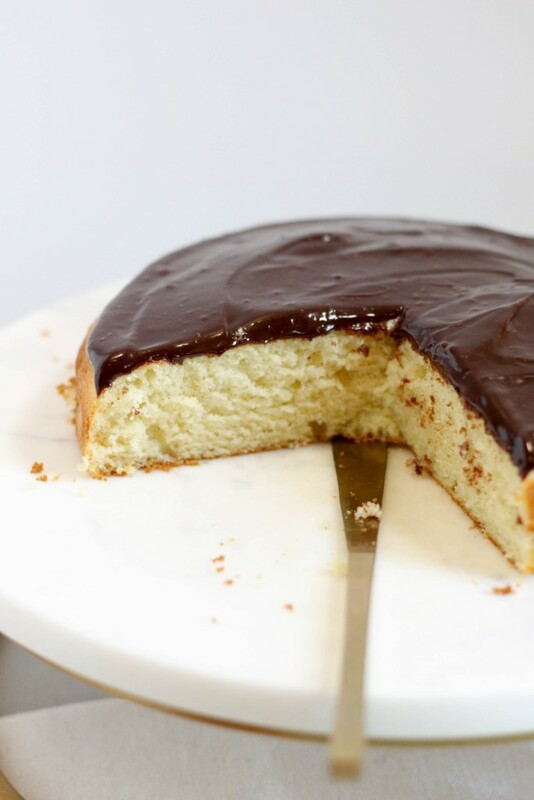 I’m going to use this for a Boston Creme Pie! Hey Ginger! Awesome, it's a great recipe!! At what elevation did you work out this recipe? Hello! I live in the Denver area, so at around five thousand feet!